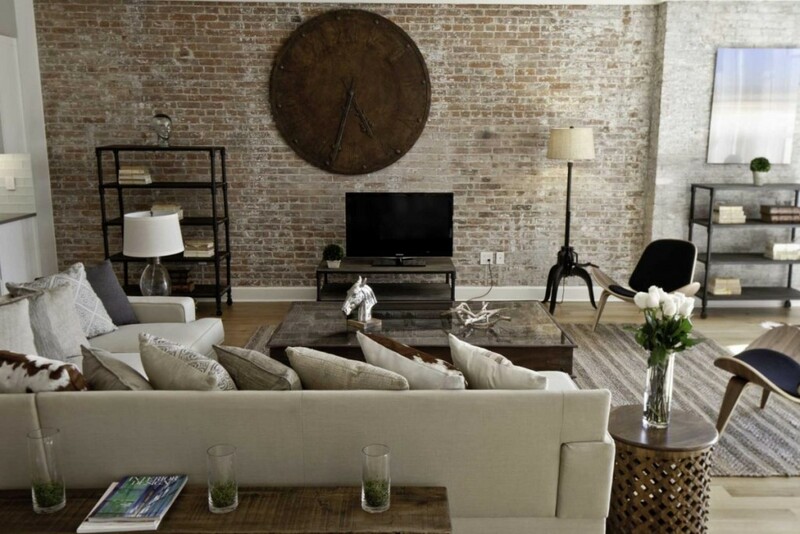 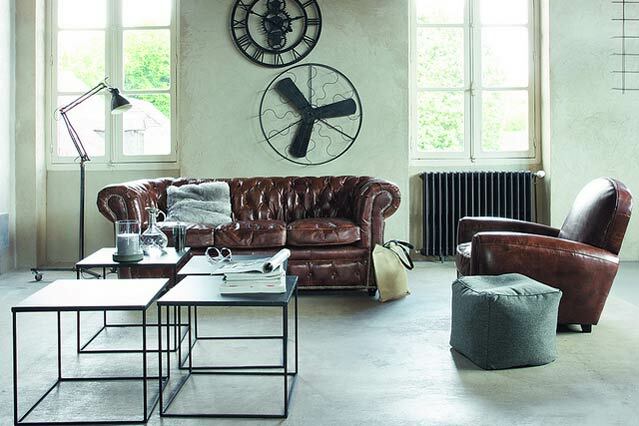 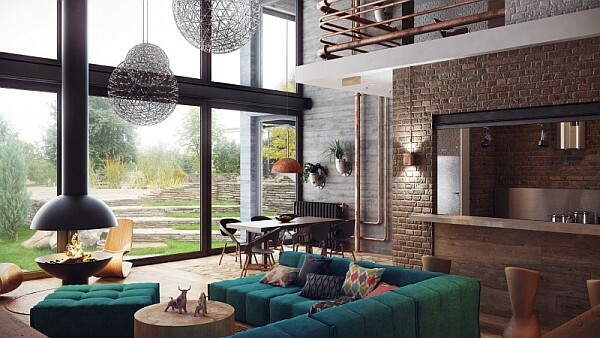 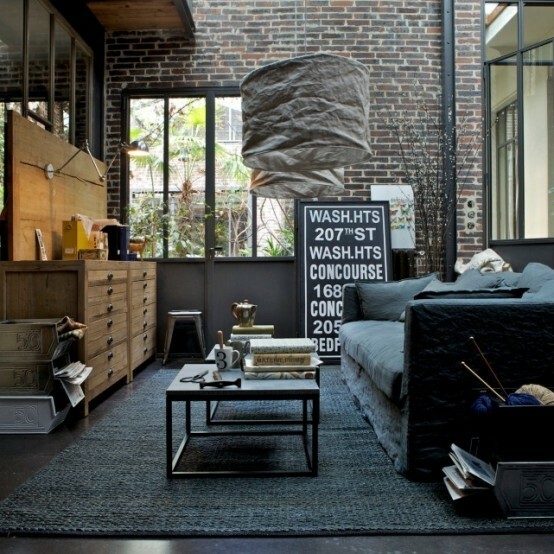 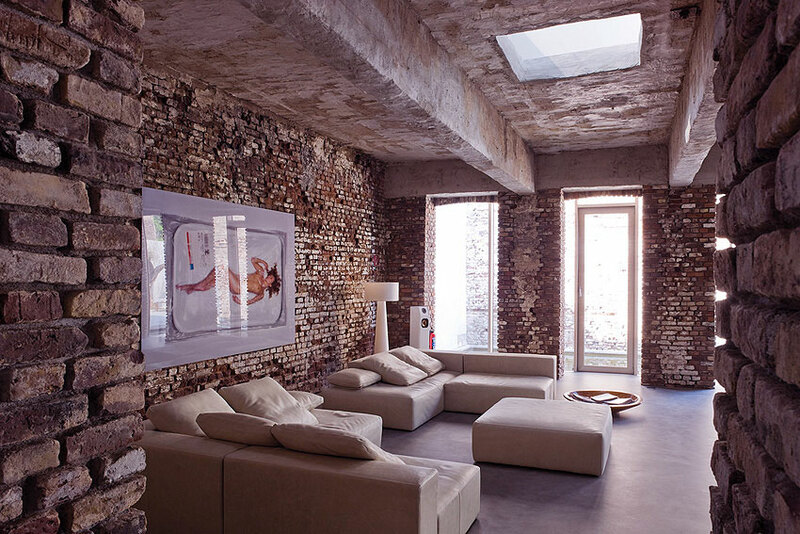 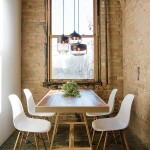 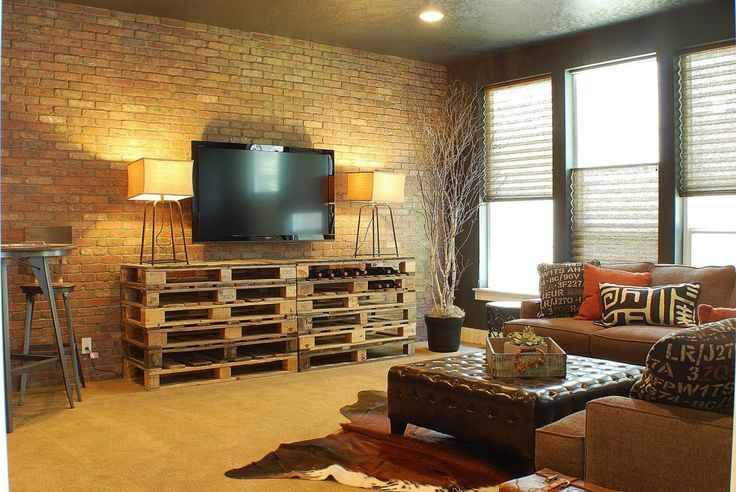 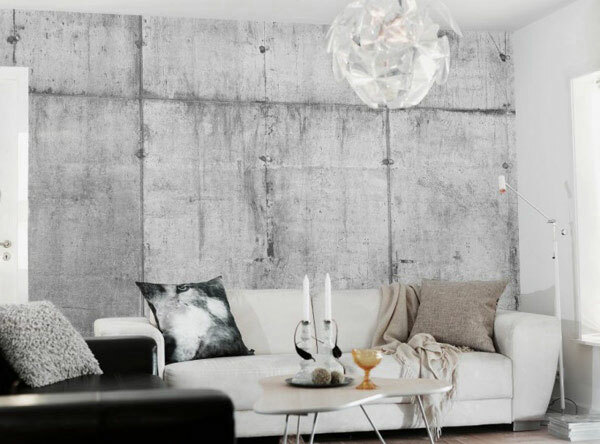 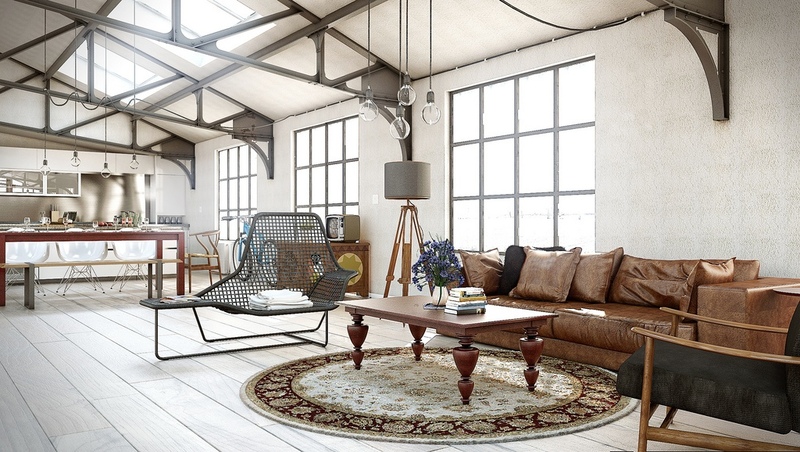 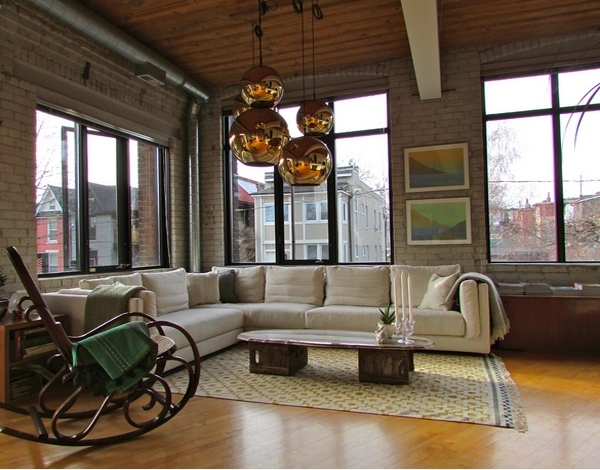 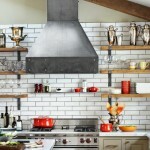 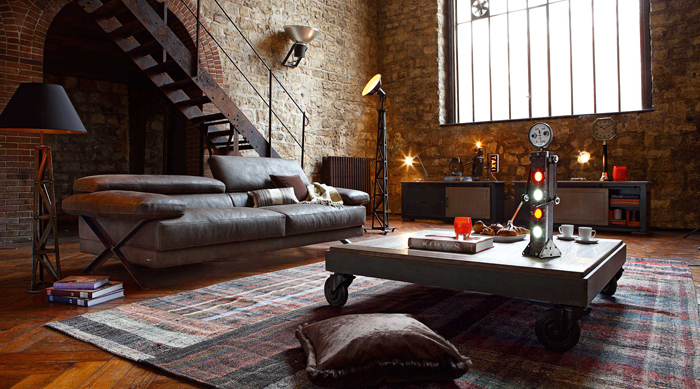 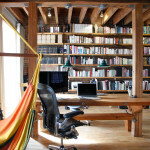 Industrial living decor idea is really in trend due to its spectacular look, it’s easy in creating and very affordable. 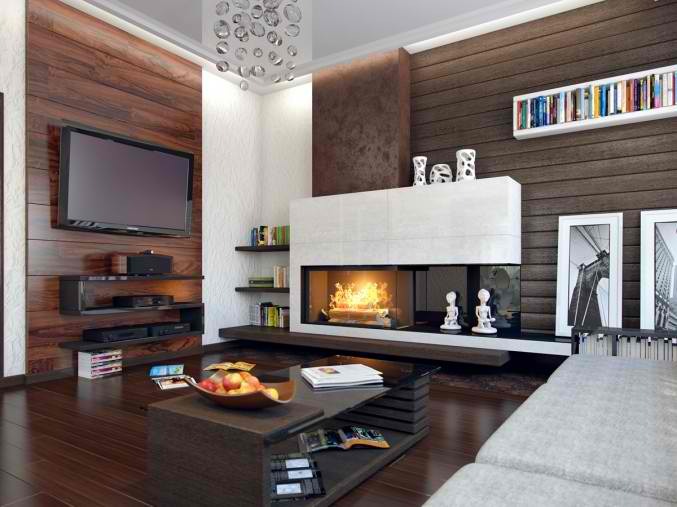 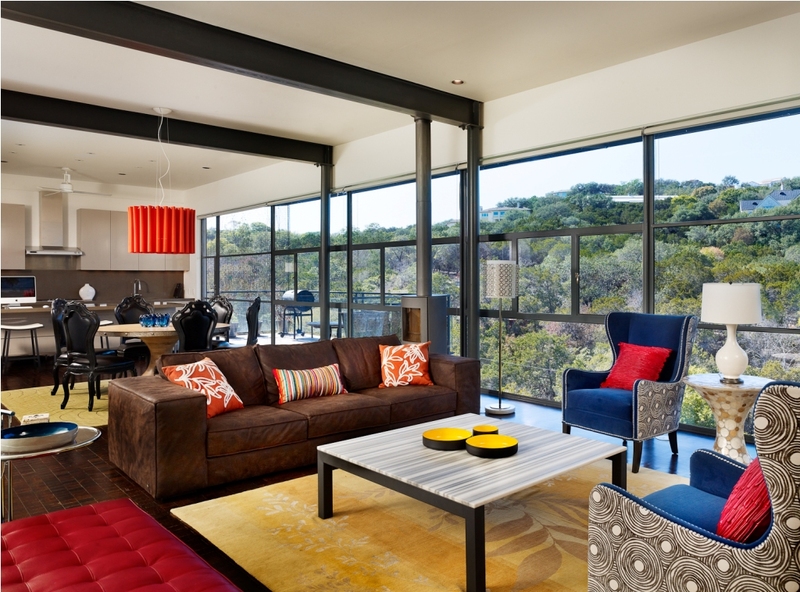 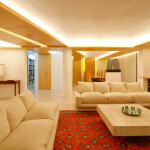 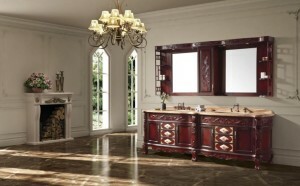 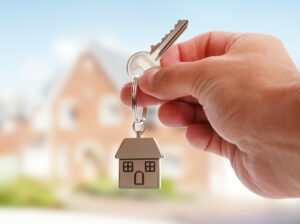 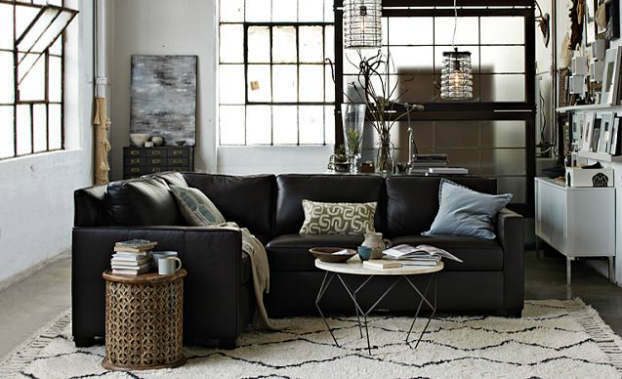 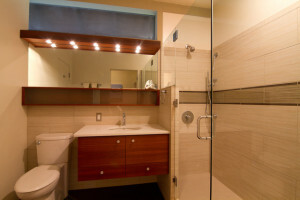 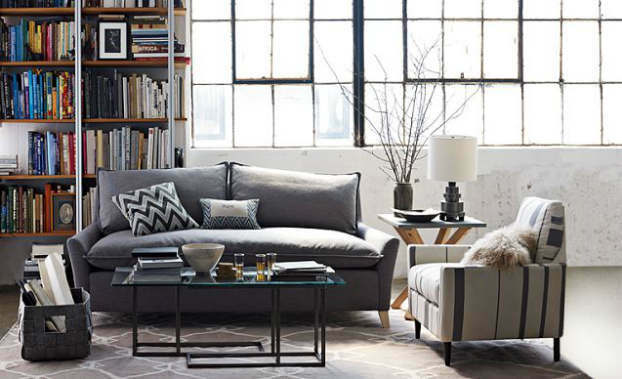 Mixing this style with touches of other styles helps to personalize the space as you like. 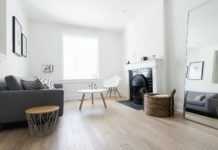 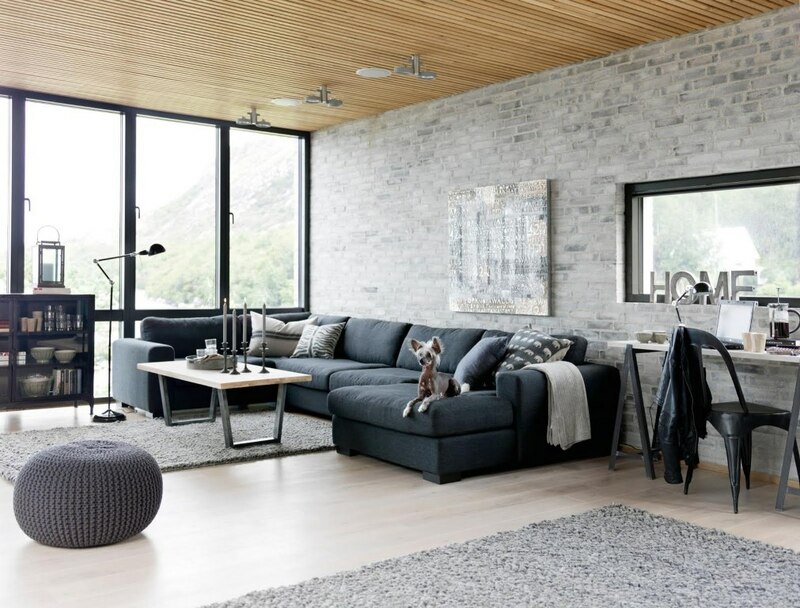 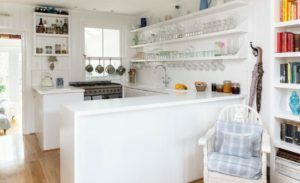 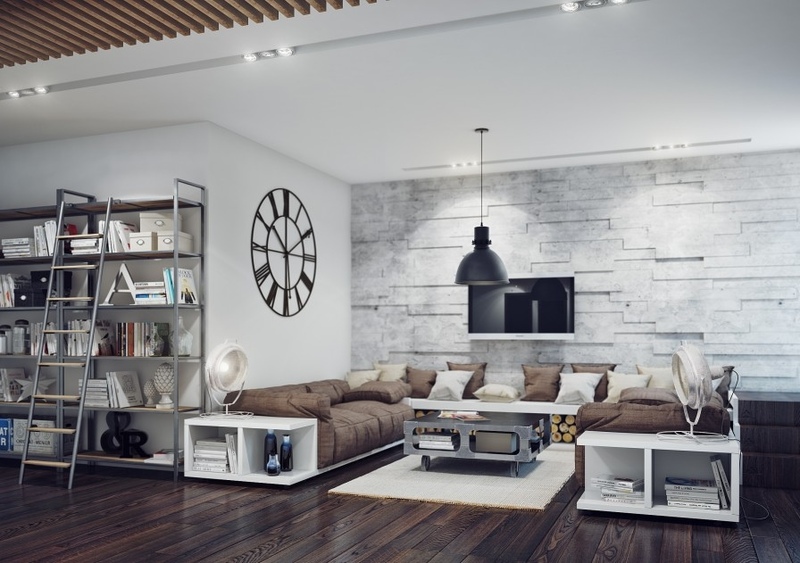 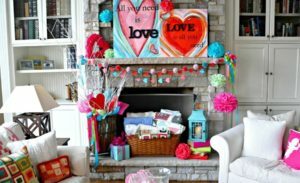 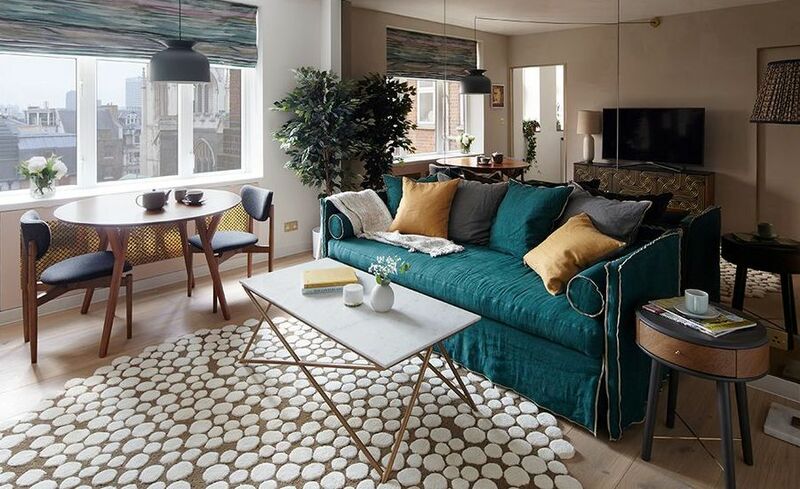 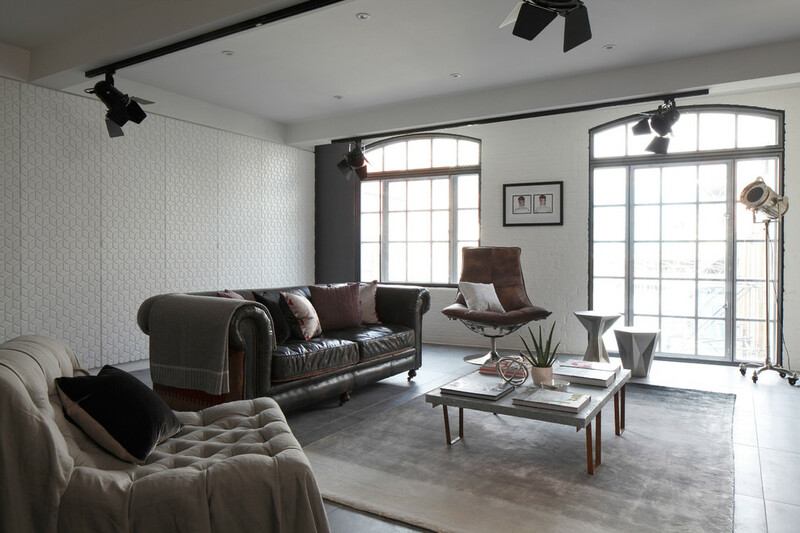 Even though nowadays, this look is achieved by renovating or reinventing a certain space because designers or decorators strip the living room for example, of their old wallpapers or ceiling, leaving the brick, concrete walls, beams and vents exposed.